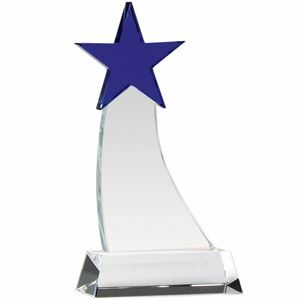 The Aquarius Star Optical Crystal Award is a blue and clear crystal award with vibrant blue star centrepiece. The star sits on top of a curved clear flat crystal riser, all set on a narrow oblong base. 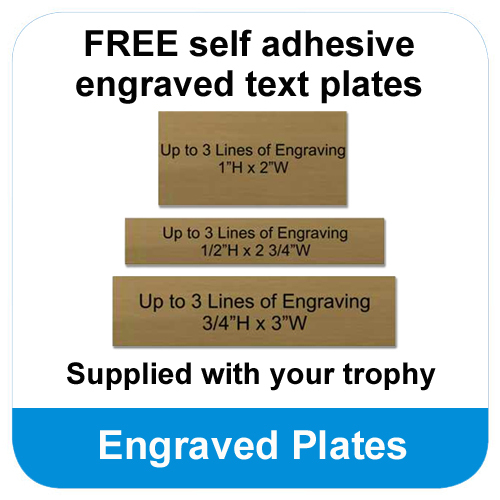 The base can be personalised with an engraved silver text plate. The Aquarius Star Optical Crystal Award is a premium crystal trophy with vibrant blue star topper. The clear crystal trophy stands on a slim rectangular base , with a flat curve riser twisting up to the blue star centrepiece. The Aquarius Star Optical Crystal is supplied with a FREE self adhesive engraved plate.